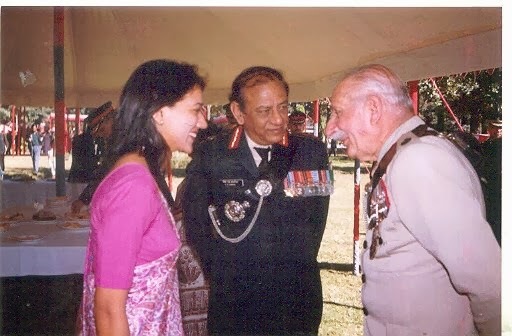 This sortie was my dream sortie, in many ways, firstly because no Indian civilian had been flown in it and secondly, out of all those who couldnt make it to the MMRCA winning-post, I was always intrigued by the enigmatic Typhoon. Clearly I didnt know what to expect, especially since this sortie came straight after I landed after a long international flight in the cold, wet, damp Madrid, late night and early next morning , was my train from Madrid to Sevilla-Santa Justa (where the Moron Air Base is), 600 kilometers away from Madrid. It was a hectic journey and it had been raining incessantly since that morning in Sevilla. 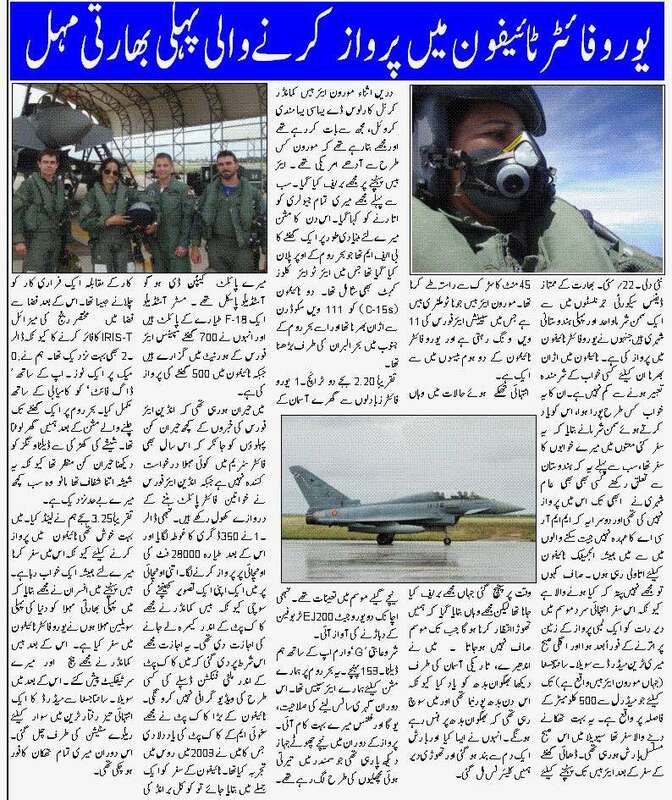 After the two and a half hour train journey, was a 45-minute journey by road to the Air Base. The NATO military Moron Air Base, which houses the 11th Wing of the Spanish Airforce is one out of the two home bases of the Eurofighter Typhoon. With my well-hydrated body, I reached on time, for my briefing, but was told that we would have to wait before we got weather clearance, which was nowhere in sight, as the rains simply wouldnt stop and the sky was overcast. I looked at the dark, gloomy sky and remembered Lord Buddha, as it was Buddha Poornima that day, and wondered if Buddha would smile at me. He did, as the rains stopped after a while and we got clearance. 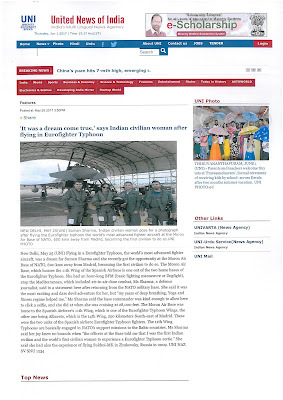 Meanwhile the Moron Air Base Commander Col. Carlos de Ysasi-Ysasmendi Krauel, got chatting with me, explaining me how Moron was half American, and was 75-years old. The US Airforce stationed there was for the US Marines and they were dedicated for the African countries, a kind of a crisis task force. 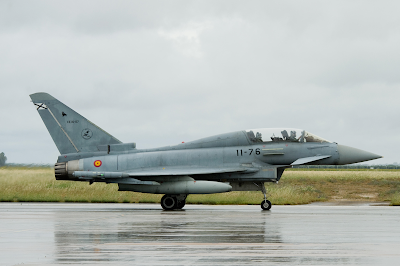 The Moron Air Base was home to the Spanish Airforce's 11th Wing, which is one of the Eurofighter Typhoon Wings, the other one being Albacete, which is the 14th Wing, 250 kilometers South-east of Madrid. 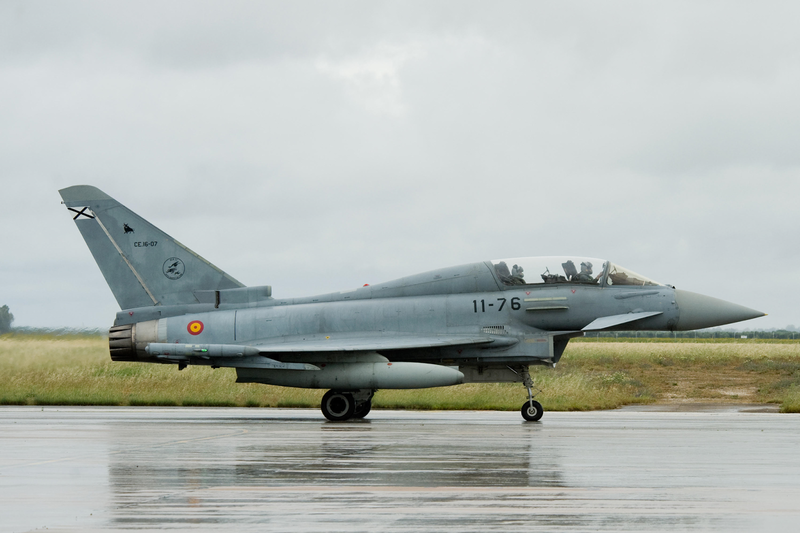 These were the two units of the Spanish airforce Eurofighter Typhoon fighters. 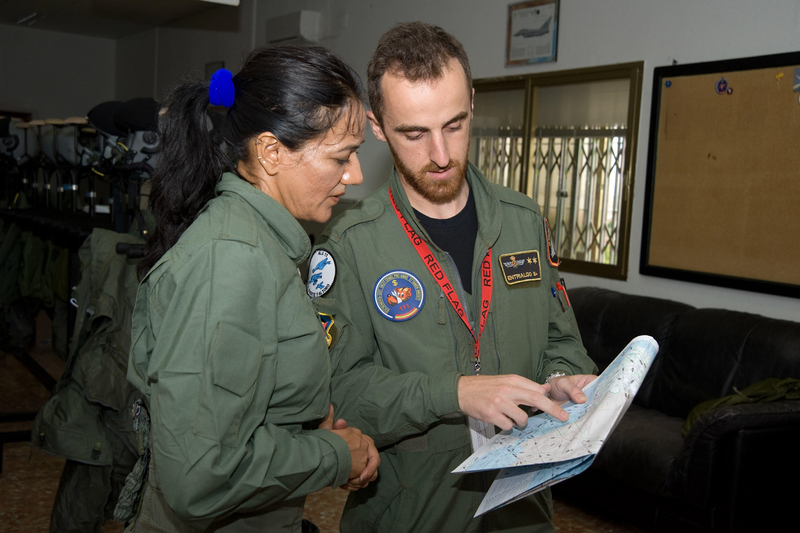 Moron Air Base also has P-3s for maritime reconnaissance, as the Base is closer to the Mediterranean, and the SEADA and UME for disaster management and natural calamities. The 11th Wing has two Squadrons - 111 is the Operational Squadron and the 113 is the training Squadron. 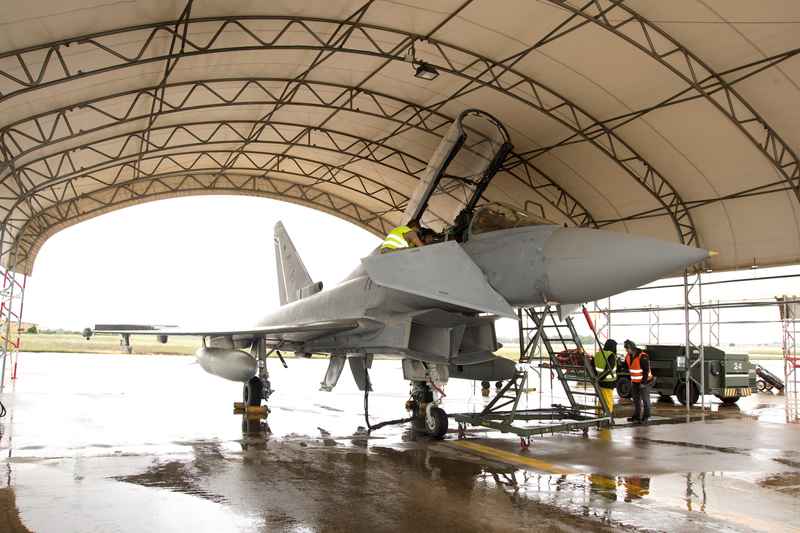 The 11th Wing Typhoons are basically engaged in NATO's support missions to the Baltic countries. 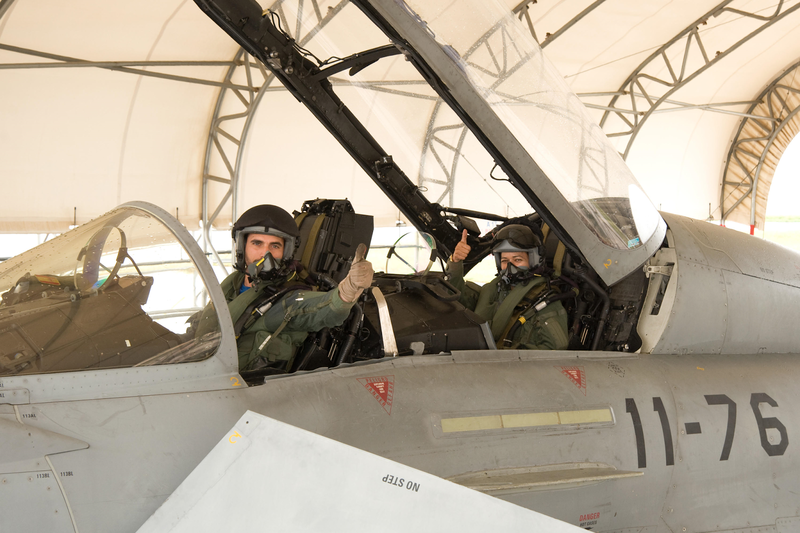 The 111 Squadron Typhoons (C-16), also boasted of their participation in the prestigious Red Flag exercise in the US, and in the more recent Dissimilar Air Combat Training-2017 exercise in the Canary Islands. This was the Squadron which was to fly me. As I was familiarising with the Air Base, the Wing and the Squadron, about its history and the missions carried out by the fighters in them, I was told that it was time for my briefing. I was first made to remove all my jewellery. 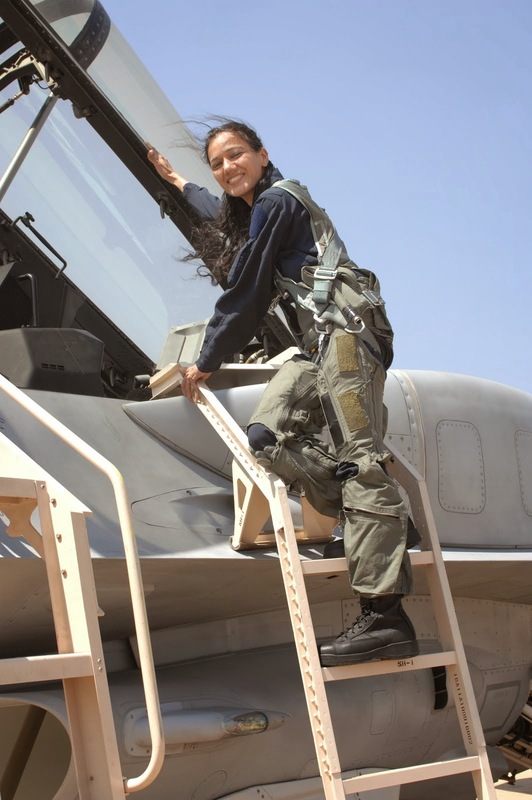 That day's mission planned for me was basically an hour-long BFM (basic fighting manouvers or Dogfight), atop the Mediterranean, which included air-to-air close combat. 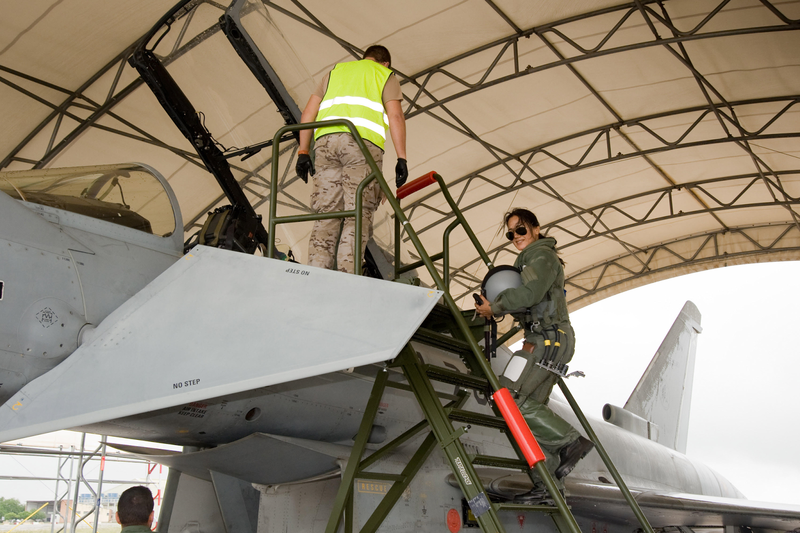 Two Typhoons (C-16s) would take off from the 111th Squadron and head towards the Albaran Sea, south-bound in the Mediterranean. At 2.20 pm, two Tranche-1 Eurofighters taxied out on the wet tarmac under the yet cloudy sky, with a glint of the sun peeping from under the dark clouds. The two Eurojet EJ200 turbofans roared southwards, (Dollar-1 - the call sign of my aircraft - 11 76 ) and took off , followed by Dollar-2 (representing Red, while Dollar-1 was Blue). After initial 'G' warm-up, we reached Delta-169. 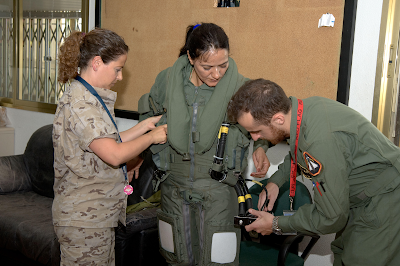 300-kilometers in area, Delta-169 was our airspace for our mission, on the Mediterranean. My years of deep breathing, yoga and fitness regime helped me. I could see the little ships down below, which looked like little fish swimming. 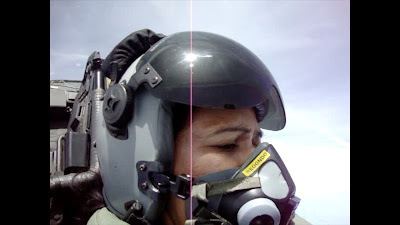 My pilot was Captain D Hugo Astudillo Pascual, and Dollar-2 was being flown by Captain Tomas Ramos. 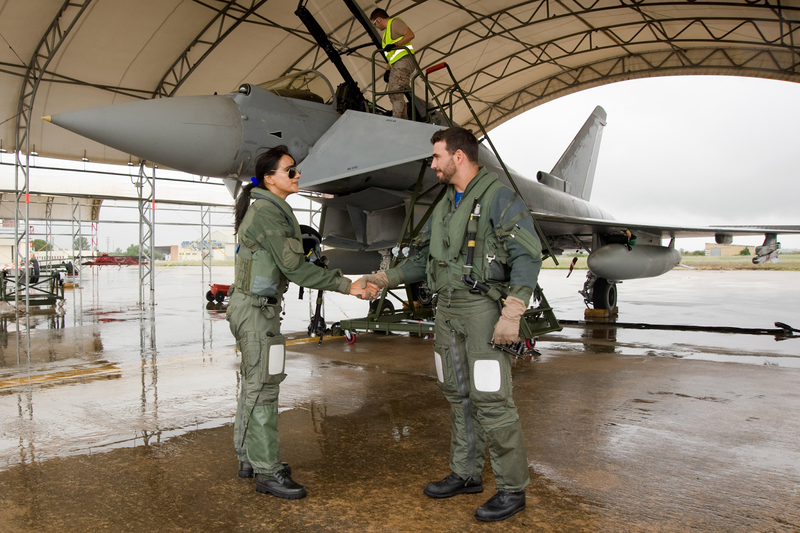 Astudillo, 35 yr-old, was initially an F-18 pilot, had 700 hours on the Spanish airforce Hornets and 500 hours on the Typhoons, which he later converted to. 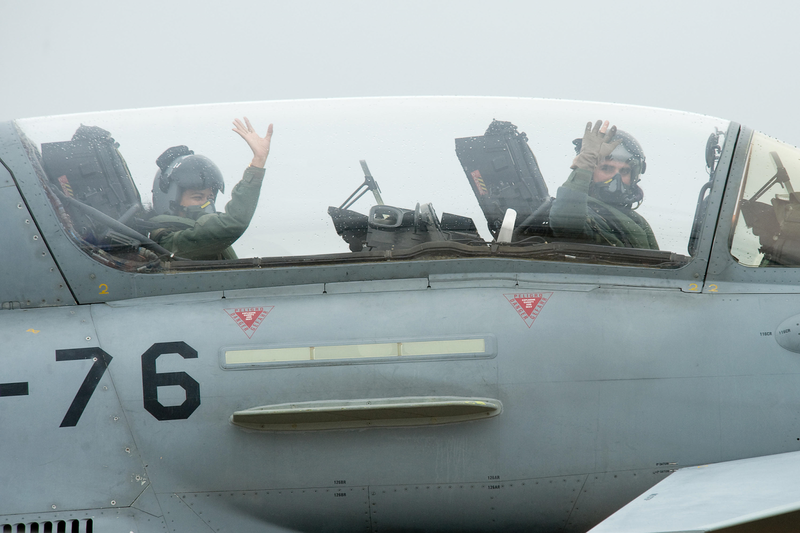 I was told in my briefing, not to touch anything black and yellow, as this was an operational aircraft, which had participated in the Red Flag. 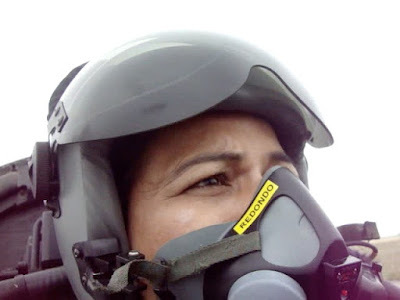 As I was wondering about a disturbing piece of news about the Indian Airforce, about no female applicants in the fighter stream this year, after the IAF opened its doors to women fighter pilots last year and three of them making it to the training stage, Dollar-1 dived into a 360 degree. It was time to climb a little more and after cruising at 28,000 feet I thought of clicking a selfie and took my picture, as the Base Commander had allowed my camera into the cockpit, on the condition that I would leave out videographing the multi-functional displays, inside the cockpit. I obeyed the ground rule, and kept filming, when I was told in the intercom to look right, and I realised that Dollar-2 was close. This time the afterburners roared and we nose-dived with wet power. I sensed a little greying and saw my anti-G suit blowing up, but my abdomen breathing helped. 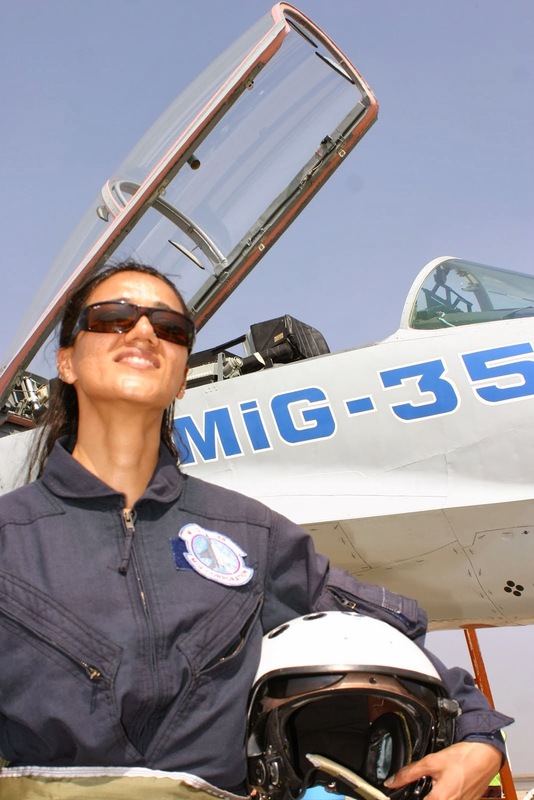 The spacious cockpit reminded me of the Sukhoi- 30MK cockpit, which I had experienced in Zhukovsky, Russia in 2009. 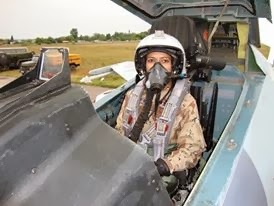 I could sense many similarities, not just in the design but also that on my Sukhoi sortie day in Zhukhovsky, it was raining and my flight came after a lot of hiccups. As I compared the Typhoon cockpit to the huge, spacious Sukhoi, the agility and manouverability of the Typhoon took my attention to the F-16, which I had experienced the same year. 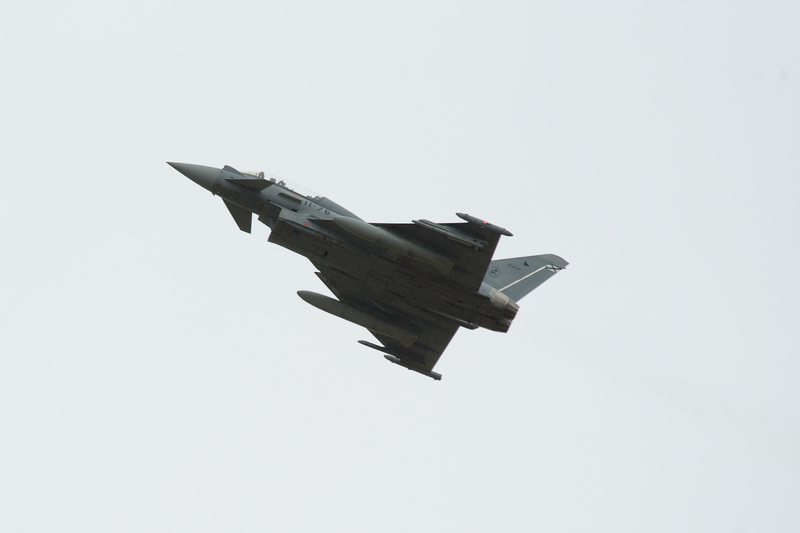 But I realised that the Eurofighter (EF-2000), manufactured by a four-nation consortium, was better in agility and manouverability. It was time to fire the air-to-air short range guided missile IRIS-T , as Dollar-2 was getting too close. We completed the 'Dogfight' successfully with a nose-up at .9 mach, and I looked up to see the sun shining bright. I was told about the radar, that the AESA was still a little faraway and that Airbus was working on it. After an hour-long mission on the Mediterranean, it was time to head home. I was particularly thrilled to see the canard delta-wings through the glass canopy, which was transparent enough to give a feeling of absolutely nothing around , thereby merging into space. I landed around 3.25 pm on a wet tarmac and was later told about two accidents that the Base had seen in the recent past, one that of a Saudi Arabian test pilot. I was called lucky by everyone, as I headed for a de-brief. I was happy and satisfied as a Typhoon flight was something I always dreamt of. 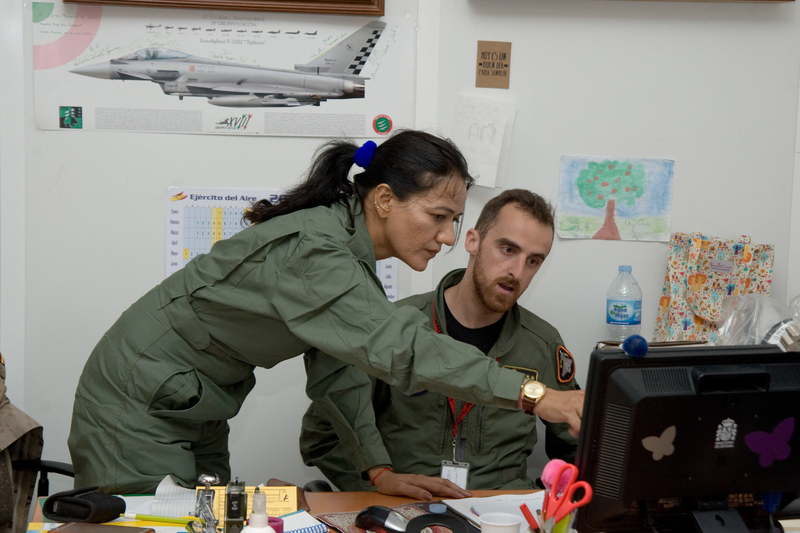 The officers at the Base told me that I was the first Indian civilian and the world's first civilian woman to experience a Eurofighter Typhoon sortie. I earned my badges and my certificate, handed over to me by the Base Commander, before I started for the railway station to board the high-speed rail from Sevilla-Santa Justa to Madrid. All my tiredness had miraculously vanished completely. Best compliments on your successful flight . You are indeed a daring journalist to break glass ceilings.